When summer’s end draws near, I start thinking about fall and the scents that go with them. 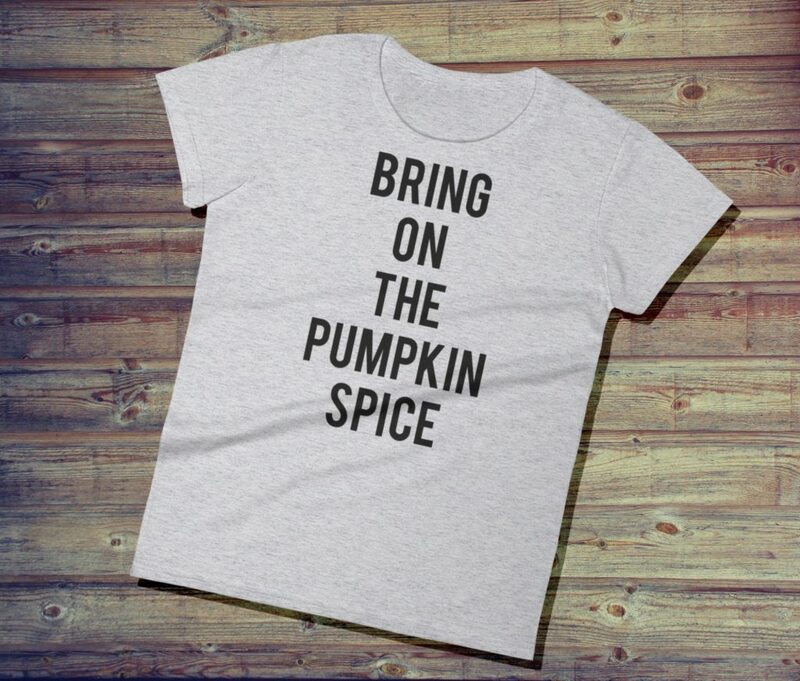 Pumpkin spice is one of those signature scents that really gets you ready for cooler days, turning leaves and Halloween. 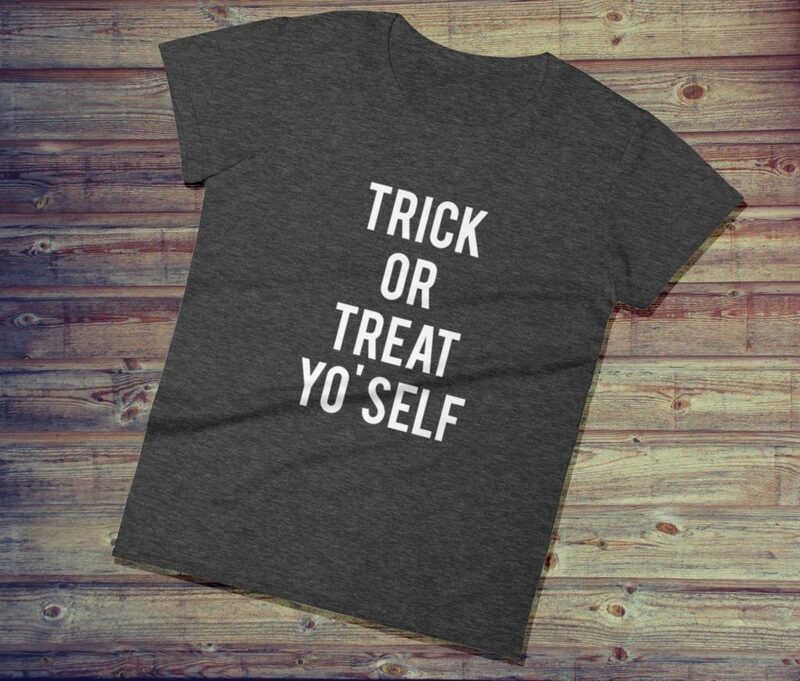 Don’t just treat yo’self, TRICK OR TREAT yo’self! 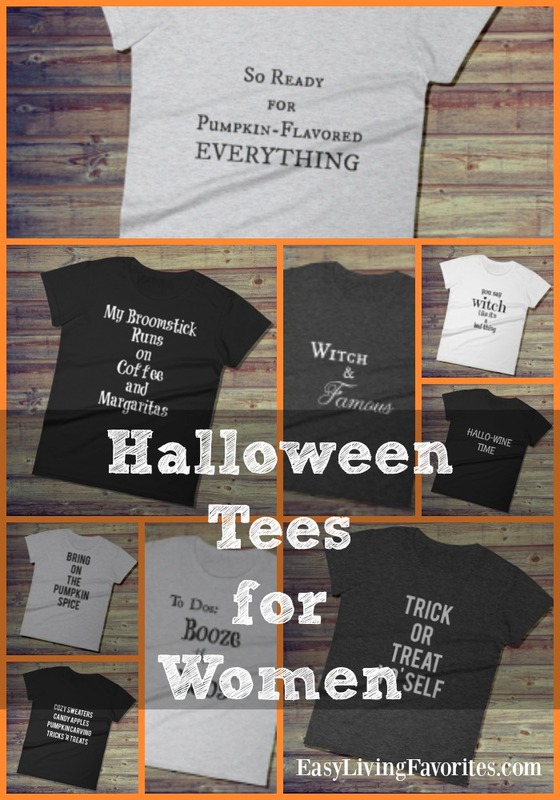 A little Halloween humor on this tee for women. Did I mention that they come in plus size up to 2x? What a way to show off your sassy attitude! I love this one. 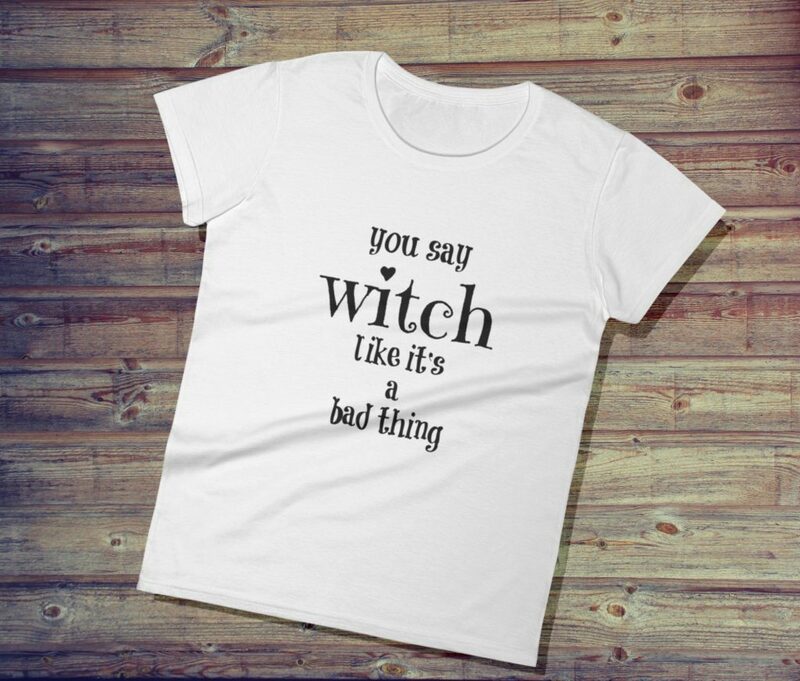 I love the artsy text, I love that it clearly communicates that there’s nothing wrong with a little witchiness! For me, this is what fall is all about. 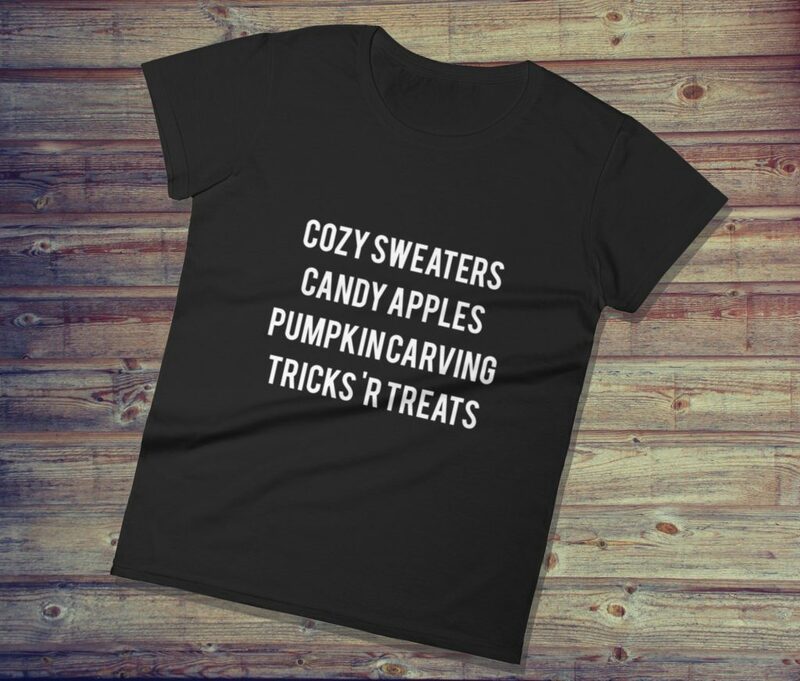 It’s a time for getting cozy and enjoying the treats that the Halloween season brings. And what’s cozier than a comfy t-shirt? Pretty much, anyway! 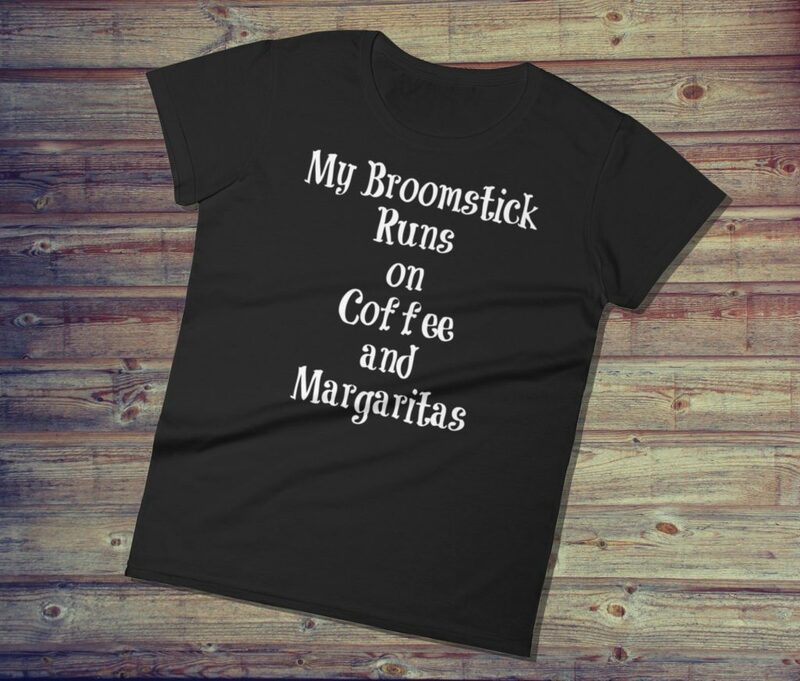 I love a good funny, especially when I can show off about my love of coffee and margaritas! 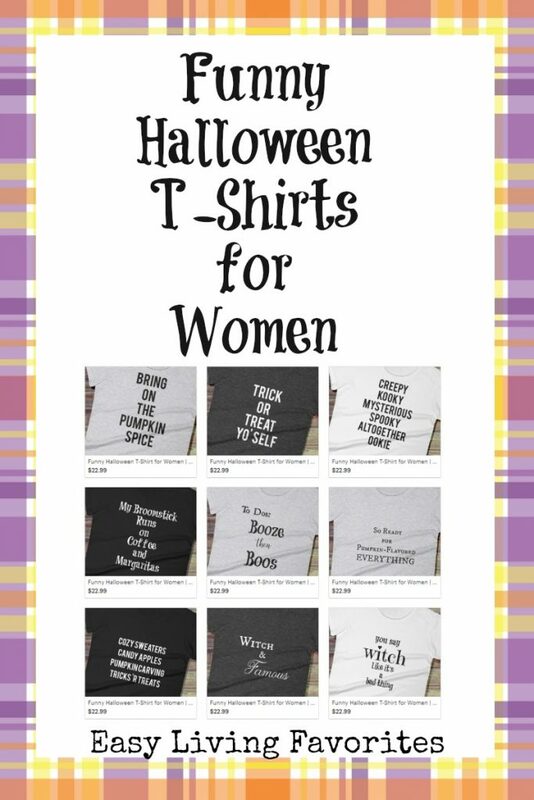 More Funny Halloween T-Shirts for Women in My Shop! 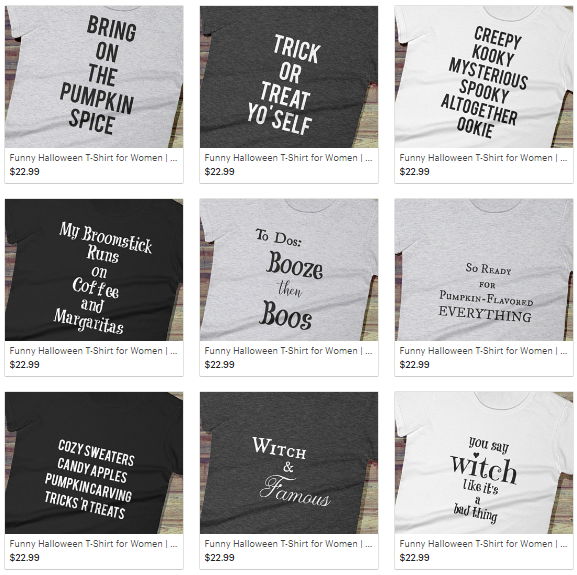 I hope you’ll check out my shop for even more funny Halloween T-Shirts for women. As a curvy girl, I stock sizes in XL and 2X. 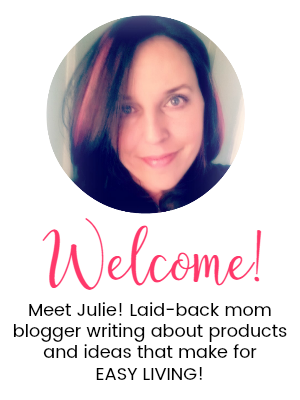 I’ll be adding more tees just about daily and I hope that, if you do place an order, that you’ll leave me a review and a picture – I love seeing my customers in their tees!